Yesterday I received a package of complimentary cakes from Gluten Free Houston! I have to admit, I do follow them on Twitter (@GlutenFreeHou) but I had never visited their website to see what they offer so I was pleasantly surprised. I received one GF Cinnamon Coffee Cake and one GF Carrot Cake. Unfortunately, both of these cakes contain dairy which I avoid. However, I couldn't resist a little taste of each one. I really like to do product reviews so that you all can see what's good out there! I'm happy to report that these are great!! 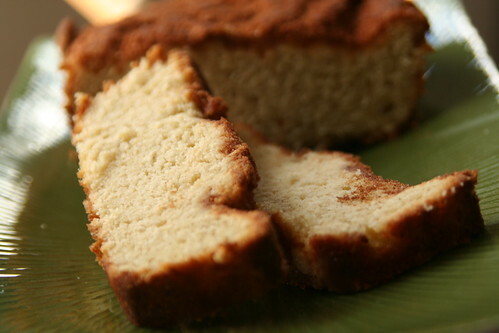 The coffee cake is dense and delicious. It really tastes fresh and as if I just baked it at home. Here's a tip, put a piece in the microwave for 10 or 15 seconds and it makes it warm and oh so good. You could even whip up a quick confectioners sugar and milk glaze for the top. The carrot cake is great too, although I am not generally a carrot cake fan. 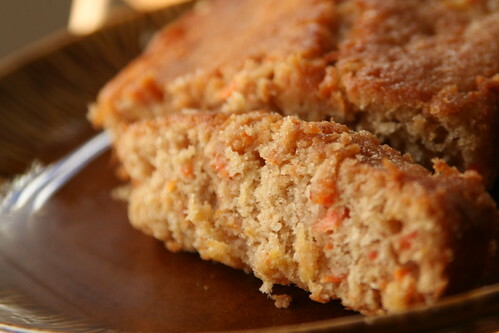 It's got real chunks of carrot and it's light and very tasty. I enjoyed it. I definitely recommend these products! Disclaimer: These were complimentary samples sent for me to taste and review at my discretion. I do not give positive reviews just because the product was free, I will never mislead my readers! In case you were wondering... I still cannot tolerate dairy lol. Oh well. Yummmmmm. Those sound and look delicious! Amazing pics of these yummy products from Gluten Free Houston! I think you ought to review products and teach food photography classes!